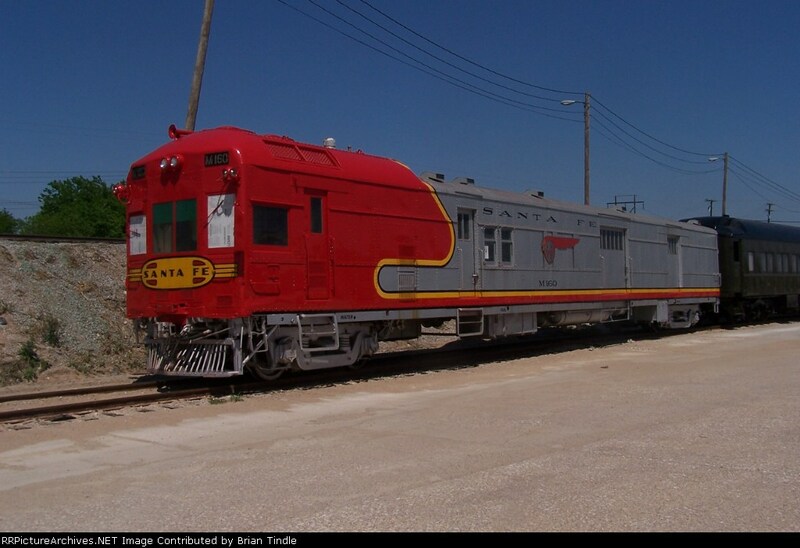 The ATSF ran regular service through Roswell up until 1967. The service ran from Carlsbad to Clovis by way of Roswell. The service was sometimes nick-named “The Cavern City” though I do not believe the service had an official name. The consist was normally a passenger car and the engine. The engine was typically a “doodlebug” which was built by the Brill Motorcar Company as a gas-electric 535 HP. 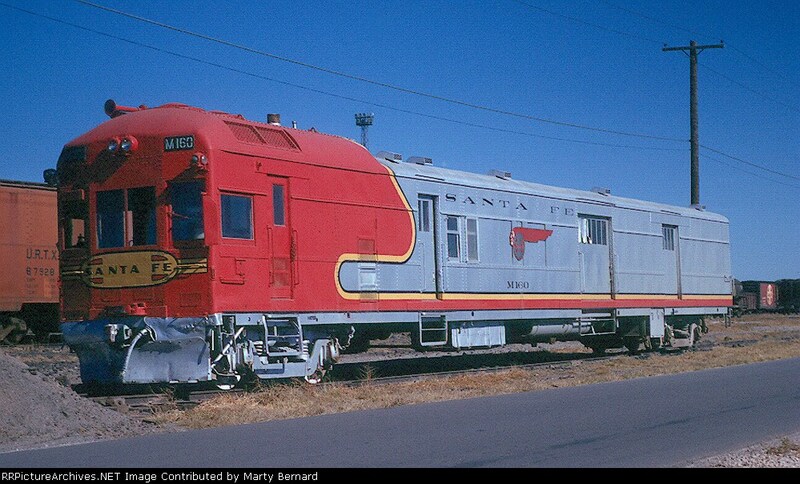 The usual unit was M.160 (or M.190) which had major rebuilds in 1948 and 1952, when it was fitted with a diesel engine and components from Santa Fe’s first E-1 passenger locomotive. The passenger car was often the “Cavern” (coach #3197) towards the end. When one of the motorcars was unavailable (not unusual in their final years), an E8 or a PA was the substitute motive power, and a baggage car was carried along with the coach-observation. By the way, the M.160 and 3197 now live at the Museum of the American Railroad in Frisco, Texas and have been restored and are operational. Restored M-160 in Dallas, TX 2006.